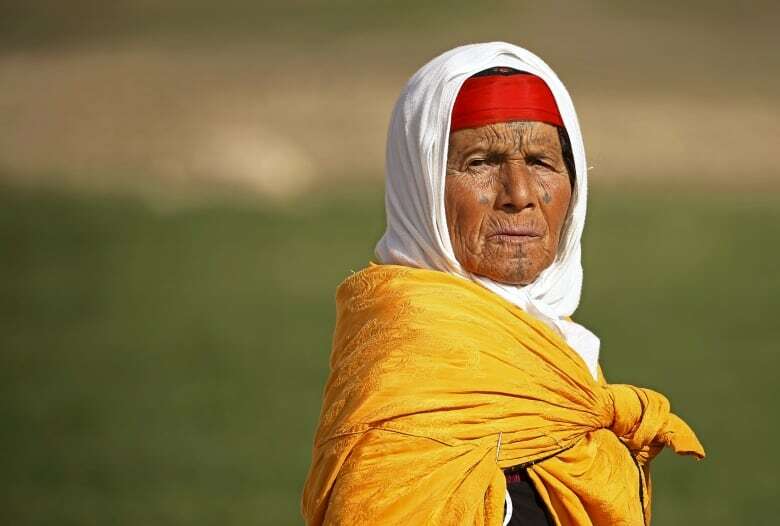 Tunisia's 2011 popular uprising brought down a corrupt dictatorship and united the country, but it also threatened to erode some of the progressive women's rights the country had had for decades. Today, women are ensuring they won't lose those rights by training to be effective politicians. 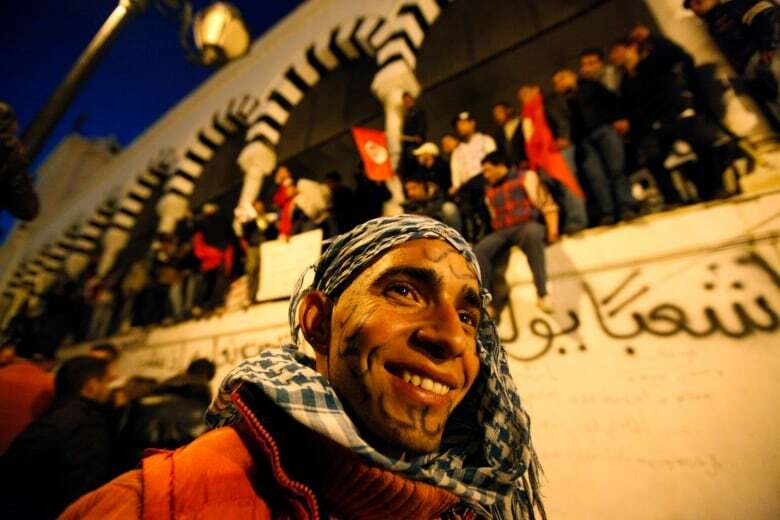 Tunisia's 2011 revolution ended a 22-year dictatorship and kicked off a wave of popular uprisings throughout the Middle East that became known as the Arab Spring. Within Tunisia, the overthrow of President Zine el-Abidine Ben Ali spurred a jubilant sense of unity. But for women, that jubilation was soon replaced by a sense of dread over what might happen to their civil rights as a post-revolution Islamist conservatism began to take hold. While Ben Ali's two-decade reign was marked by corruption, human rights abuses and tight restrictions on free speech and political opposition, his regime did preserve the foundations of the country's strong women's rights legislation, established in 1957 with the adoption of the Code of Personal Status. That code guaranteed women in Tunisia far more extensive rights than women have in many other countries in the region. It gave women the right to initiate a divorce, open a bank account and establish a business without spousal consent and access abortion services. The country has also outlawed polygamy. In the wake of the revolution many women feared they would lose those rights, but in 2014, women's rights were enshrined in a new constitution. Gender parity on electoral lists has been made mandatory. Around 30 per cent of the legislature is currently made up of women, but several parties have raised the notion of possibly imposing a gender quota system for all levels of government and the civil service. Ishrok Rhouma, 27, was one of the tens of thousands of Tunisian women who took to the streets during the Arab Spring. The experience changed her politically, she says. In fact, she is planning to run in the country's first municipal elections next year. "Women must have a presence in political life and in the union sector," Rhouma said between sips of orange juice on a café terrace in downtown Tunis, the country's capital. "We must always be watchful for all the possible problems that could arise." And there are still problems for women in today's Tunisia. According to the Ministry of Women's and Family Affairs, violence against women is growing. This year, it published a report saying 53 per cent of Tunisian women experience violent attacks in their lifetime. While Tunisian women graduate from university at a rate almost double that of their male counterparts, female unemployment currently stands at 26 per cent, versus 16 per cent for men. Women face serious pay discrimination, especially in the agricultural sector, according to some advocacy groups. 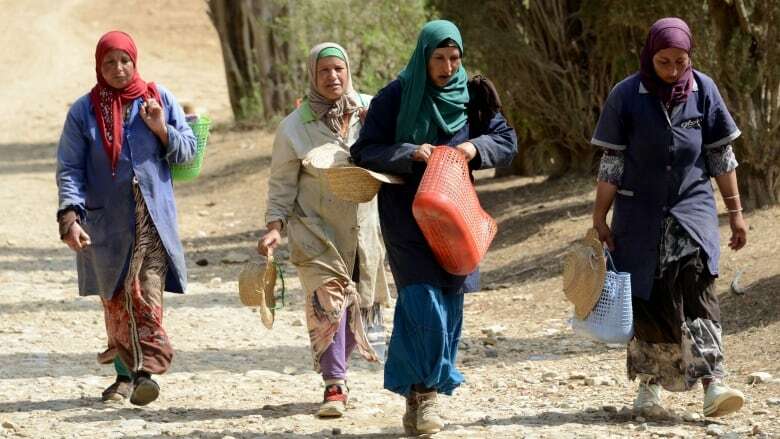 In March of this year, the Tunisian Association for Cultural Action published a report that said 99 per cent of women working in the private agricultural sector do not receive equal pay as men for doing the same job. Instead of addressing these problems, however, the male-dominated government insists it has more pressing issues to attend to, such as a sluggish economy and domestic terrorism. The real challenge facing women in Tunisia today is to find ways to exercise the power that Tunisia's progressive laws give them. One way they are learning to do that is by attending "political academies" that have sprung up since the revolution. The academies are designed to help them make an impact in the male-dominated world of government and be effective in advancing women's rights. Aswat Nissa, which translates as "women's voices," is an NGO founded just after the revolution that holds once-a-month training sessions for women who have entered, or are about to enter, political life. Women who attend the sessions, which last a year, learn how to communicate clearly and with conviction; research and read laws; draft gender-sensitive budgets; canvas; debate effectively; fundraise; and mobilize volunteers. 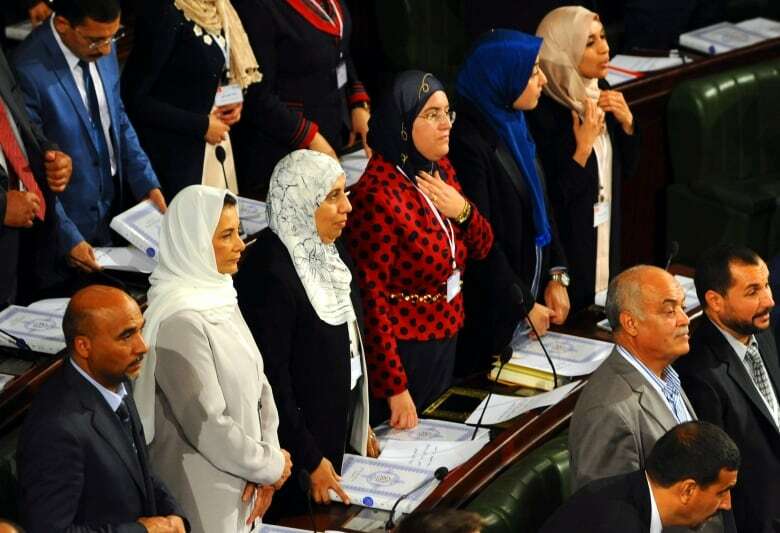 ​Aswat Nissa has enrolled 40 women in its academy this year, all of whom are active in politics. Much of the training is geared at women such as Rhouma who are preparing to run in the upcoming municipal elections, but it also focuses on women who are already in office. Karima Tagaz, 33, a graduate of the academy, is about to debut as an elected representative in the next session of the Assembly of Representatives of the People, which begins this week. "I have visited parliament before," she said one recent morning as she walked around the legislature, "but when you're an assembly member, it's something else. You are part of this world." As she went from room to room in the parliament building, she held herself confidently among her mostly male colleagues. Like them, she is in preparation mode. She is readying herself to make a substantive impact this session — for women. "Women must dare to impose themselves in politics so as to take their rightful place," Tagaz said. "They can't wait for it to be done for them. No matter what their action is, every woman must have a personal conviction that she is able to do something to make things better." 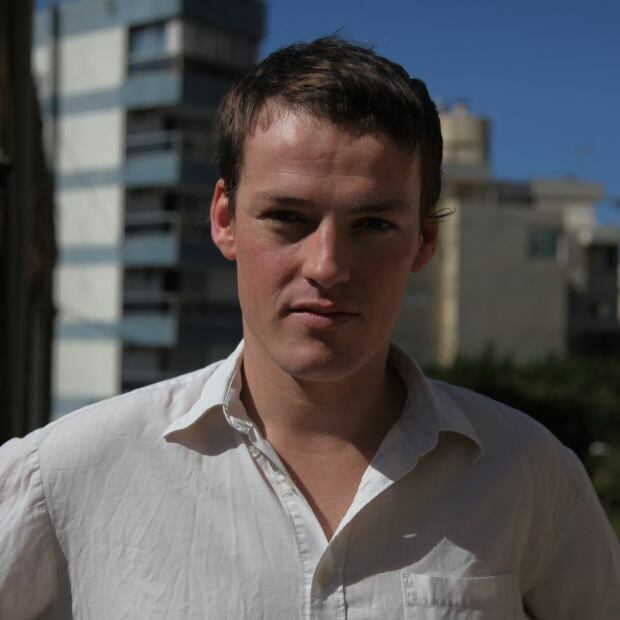 Don Duncan is an Irish journalist and filmmaker, currently based in Brussels. He is interested in politics, culture and the economy. He has lived and worked in Europe, Asia, North America and the Middle East. Has the Arab Spring been detrimental to women?